Can you feel that? The awesome power of Marvel’s Ant-Man? I can feel it. It’s rolling towards us like a wave of giant ants straight out of Empire of the Ants. Every day, I get more and more excited. I mean, seriously. One of the founding members of The Avengers is finally getting his screen time! To commemorate the release of Marvel’s Ant-Man, I’ve got a pretty cool Youtube video that’s going viral… Little Ant-Man! That’s what I’m talking about! 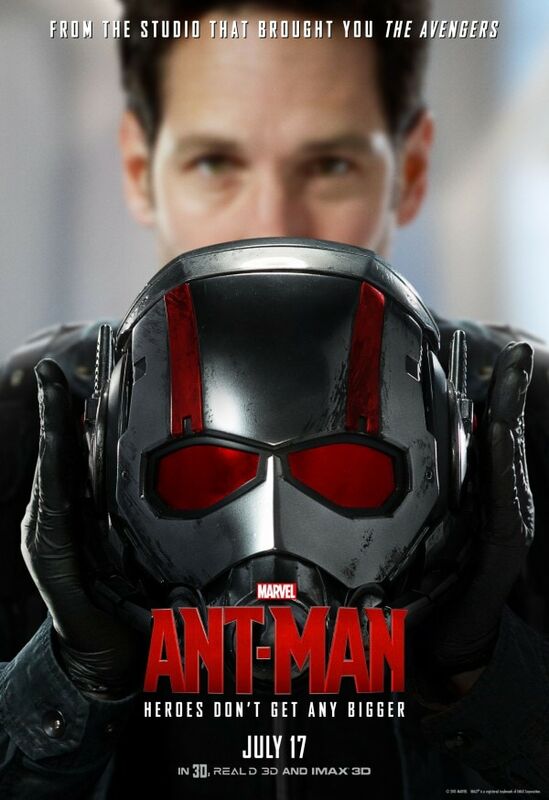 Marvel’s Ant-Man is going to be a departure from the other films in the Marvel Universe. Rather than showcasing heroes with hammers, shields, and city-wide brawls, Ant-Man will gives us another sort of action. We’ll see Marvel’s Ant-Man taking on the bad guys using a combination of brains and brawn in settings we’ve never seen before, and I think that’s just bad @$$. This is the kind of film that can spark imaginations. It’s the kind of film that kids – and adults – come home from seeing and start looking at the world in a different way. Instead of looking at the sky and imagining calling down lighting, Marvel’s Ant-Man will have us looking at the ant on the sidewalk or the flying insect buzzing past us and imagining ourselves harnessing that power. One person has done more than imagine it. There’s a Youtube video currently going viral that shows exactly the kind of imagination and creativity that Marvel’s Ant-Man can foster in all of us. Ladies and gentlemen, I give you… Little Ant-Man! Pretty cool, right? There’s some serious imagination and talent going on here. For me, the best part of the entire video is the sheer magic of the imagination of children that it showcases. That’s the kind of imagination that only a movie like Marvel’s Ant-Man can foster. Another big departure of Marvel’s Ant-Man from some of the other movies from the studio is the addition of more heart. Of course, the other movies in the Marvel cinematic universe have heart, but it’s a different sort of heart. It isn’t tender. Marvel’s Ant-Man brings us an anti-hero who’s conflicted. He’s a thief, but he has a heart. I love that, because it’s true to the character of Ant-Man. Paul Rudd also brings us his signature humor in doses that are enjoyable but make sense and don’t detract from the film. That’s important, because while I love the infusion of real feelings, Marvel’s Ant-Man is still a super hero movie. Which brings us to heroics. Marvel’s Ant-Man will, of course, be heavy on heroics, but those heroics will be in a different setting. I’m excited to see how Ant-Man will battle evil using his shrinking and super strength. I think it’s going to be one amazing ride. A ride that will make ME feel like Little Ant-Man. Marvel’s Ant-Man Will Be Here Friday.